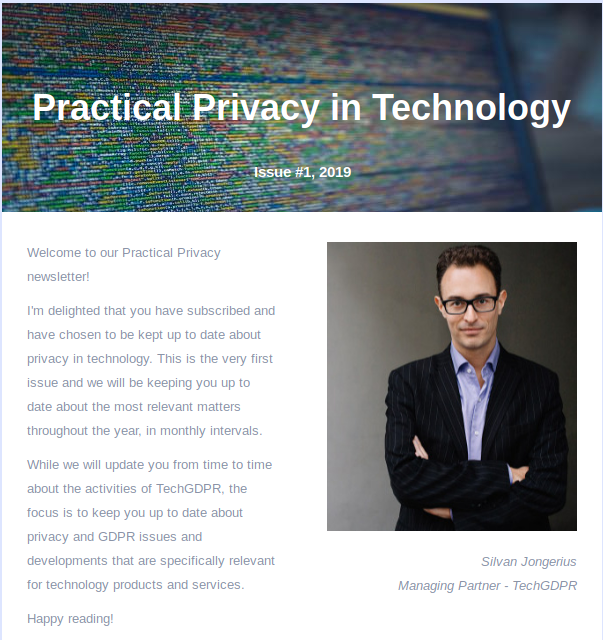 TechGDPR’s newsletter provides you with regular updates about practical matters in privacy for technology entrepreneurs, startups, and companies. We will update you on a monthly basis with relevant developments, including real-world examples of good privacy implementations, tips, software that aids privacy and other ideas. Regular features will include the latest news and controversies as well as perspectives from TechGDPR and our partners to bring context to the big picture of privacy and compliance.